You're using an outdated browser. Please upgrade your browser to improve your experience. 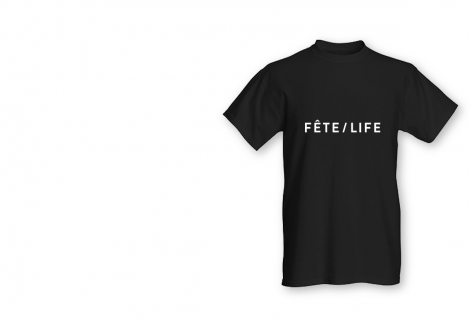 Join the Fête/Life with your own limited edition branded tee. A unisex style that looks great teamed with a pair of jeans. Available in a variety of sizes – please select your preference in the drop down box. Please note 10 day turnaround time required.